Sunlite fluorescent lamps are very popular for use in office and other lighting applications. The characteristics of fluorescent lamps vary type of lamp. Fluorescents lamps are used so widely due to their low operating costs and because they are efficient, last for years, and are high quality and rapid starting. Fluorescent lamps can cost significantly less to operate over their lifetime than incandescent lamps. Life ratings for fluorescent lamps range from 6,000 to 36,000 hours based on the industry standard of 3 burning hours per start. Also, rapid start and instant start lamps typically start within 1 second of being turned on. The High Perfomance and High Output versions also give you and even better efficacy and energy efficiency. Look for a higher CRI for improved light quality. 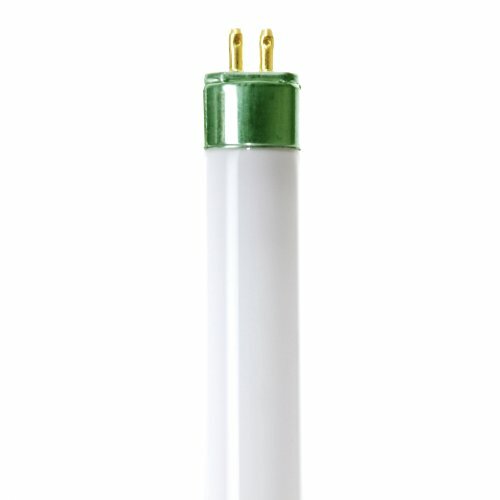 Sunlite 30445-SU F54T5/850/HO 5000K Color Temperature T5 High Output Hight Performance Straight Tube Fluorescent 54 Watt lamp features a Mini Bi Pin base, provides a light output of 5000 lumens at a Color Rendering Index (CRI) of 82 and can last an average of 20000 hours.